Recent research by uSwitch.com has found that for young people, the cost of learning to drive and running a car is just too expensive. The main reasons young people gave for not driving were high petrol prices (63%), the cost of parking (30%), maintenance such as MOT (29%) and high insurance premiums (26%). Not only is the cost of running a car putting young people off, it is also driving young people away from employment opportunities. The uSwitch.com research estimated that two-thirds (66%) of 17-25 year olds have had to turn down a job opportunity due to lack of access to a car. In the face of high youth unemployment, (the rate for 16-24 year olds is 16.2%) the findings of the research are both disappointing and frustrating. They also help to reinforce how critical the bus is in providing access to employment, particularly for young people with no other options to get to work. 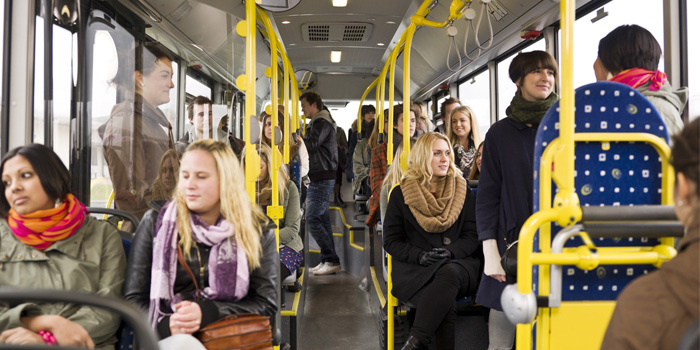 Greener Journeys research conducted by the University of Leeds found that young people are more reliant than any other demographic group on bus services, and this is particularly acute for those who are young and unemployed. The bus is both an affordable and reliable alternative option of public transport. Currently more people travel by bus to work than all other forms of public transport combined. The bus is key to linking people to job opportunities and ensuring economic growth. While it is impossible to subsidise the cost of running a car for every young person in the UK, we can make sure that there is a way for them to get to training, interviews and ultimately to work by the bus. To do this, we need to ensure that funding for bus services is safeguarded and the contribution buses make to helping young people is properly recognised. Not only does the bus help connect people, it also makes a huge contribution to the UK economy. Bus users generate £64 billion of economic output each year, helping to drive prosperity and economic growth across the country. However, importantly, it has a profound impact on people’s quality of life, whether that is by providing an affordable means to get your first job, or serving as a vital link with family and friends.